Classic kitchens are timeless and flexible. This comes with other givens, such as neutral color palettes and simple, unfussy details. A classic kitchen can be deemed too safe for the individualist and too ornate for the purist, but if you take a basic classic design, dress it up with extra trims, personalized handles , incorporate a classic anthracite honed quartz counter and marble backsplash you can make like your own. (And so can the next homeowner if you're concerned about resale value.) Classic kitchens are timeless yet fresh. This is a style that almost everyone feels comfortable in. There are so many colors that go amazingly well with white. The wall, floor, cabinets backsplash, countertop and appliances can carry the color that works magic with your white base. Finding the right color for your kitchen island is quite simple. This first step is to settle on both the style and the color scheme of the kitchen itself. Once you have this sorted, most of the work is done and your choices are instantly narrowed down. A kitchen with too many colors looks cluttered and hence it is best to pick a color for the island that is repeated elsewhere. Classic kitchens can be chameleons. You can take the same kitchen and completely change its look by mixing in modern bar stools or lighting or industrial bar stools and lighting or traditional . Alternative palettes like brown and white or black and white also find their way into classic kitchen design. Here, walnut stained cabinets, white granite counter, stone backsplash and classic door style have all the elements of a classic kitchen. Cararra marble and Calacatta marble are the two that really stand out in classic kitchens. In fact, marble countertops are often the focal point of a classic kitchen. However there are maintenance issues with marble but there are many beautiful quartz counter tops to choose from add a sleek white subway tiles and you have the perfect no fuss classic look. It really doesn't matter what size, though the classic is 3x6. It can be glossy, crackle, beveled or square edged, handmade or machine made, or even in white marble. If you're looking for a twist on the classic, try a 3x6 or 3x8 or3x12 the proportions can really change the look of your kitchen, as can the grout. Red as a color gets plenty of bad rap when it comes to home decorating because it can seem far too overpowering when used excessively, however, a couple of upper cabinets coupled with a neutral backdrop can make a big visual impact in both contemporary and traditional kitchens alike. Red combines well with black in modern kitchens while a splash of red can instantly bring brightness to an otherwise mellow and inviting space. A matte shade of red ensures that the upper cabinets are not out of place. The concept of modern kitchen decoration has become very popular in recent years. Modern kitchen designs add a unique touch of elegance and class to a home. 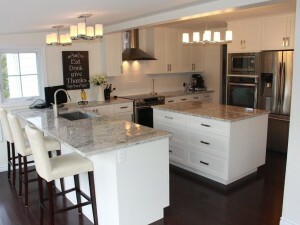 Here is a modern kitchen , featuring high gloss cabinets and honed white quartz counter. By using high gloss reflective surfaces ,makes the space appear larger. It also raises the brightness by reflecting other light sources. Cabinets along the walls are just the right amount of gray to look pure and clean without becoming overly stark. Ultra-modern appliances finish the look by adding yet another touch of modernism to the design. If you like sleek, pared-down modern interiors, you'll love this kitchen. With simple color scheme, minimal detailing and just the right amount of texture, this space proves that sometimes, less really is more. Contemporary kitchens, with their minimalist cabinetry, neutral color palettes, and metallic accents, have a subtle elegance that will never go out of style. A pop of color-whether it's on the furniture, in a bowl of fresh fruit, or in a vase of flowers-ensures that they still feel warm and welcoming and stand the test of time. Contemporary kitchens tend to be described as modern, minimalist and geometric. The characteristics include horizontal lines, asymmetry and a lack of molding and other ornamentation. The contemporary kitchen borrows high functionality and streamlined surfaces from the modernist design movement, but its style often incorporates traditional ideas. Stainless steel and white appliances and grey quartz counter top make the easiest transition to a contemporary look because they balance so nicely with warm wood tones. Here is a contemporary kitchen that uses simple colors and neutral shades in a stunning fashion by simply adding a striking backsplash of mosaic stone and glass tiles in neutral shades. Elegant, rich and sophisticated, this design is ideal for those looking to strike a balance between contemporary and minimalism and the warmth of natural wood. 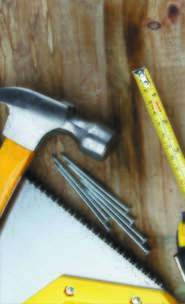 At Casa Reno Direct, our mission is to provide you with a stress free renovation experience. From initial consultation through finished project, the experienced staff of Casa Reno Direct works tirelessly to make sure your project receives the attention it deserves. Our Philosophy: Our mission is to design and build the best possible kitchen for your needs. We are focused on the relationship with each and every client, because our goal is to turn each and every client into a friend for life. Following the initial design consultation and any possible follow-up meetings, our kitchen designers will create a kitchen proposal for you, which is based on your specific kitchen plan. This proposal includes kitchens cabinet price ranges as well as the delivery and installation cost. If you are happy with our proposal, we ask you to pay a retainer fee and this is when the actual kitchen design process starts. One of our kitchen designers will now visit your house to take dimensions and measurements. We will then provide a set of professional shop drawings (floor plans and elevations) using the design program AUTOCAD and may create 3D renderings upon request. These drawings will give you a detailed idea of your custom kitchen, serve your architect and builder, and are essential for the overall kitchen design and installation process. Our kitchen designers are able to tell you the date when your kitchen cabinets will be delivered and installed.